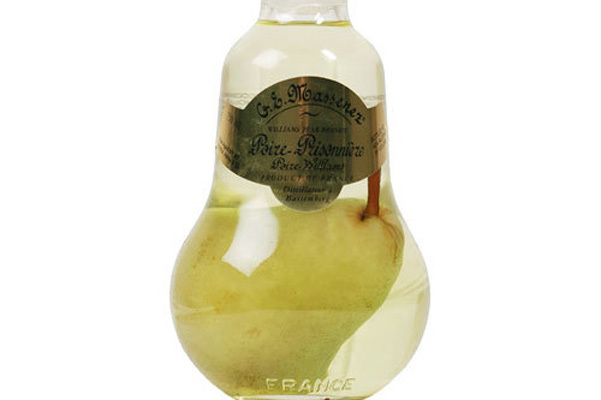 A pear-flavored eau de vie (colorless brandy) made with Bartlett pears, which are also referred to as Williams pears in Europe. 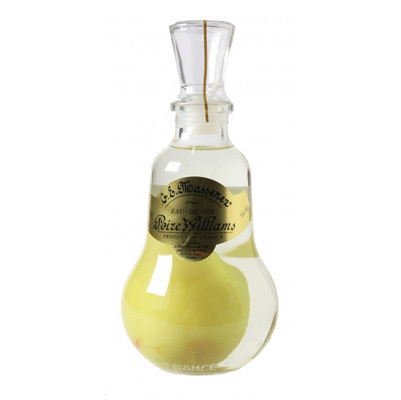 Some bottles contain a whole pear inside, which is accomplished by placing the empty bottle over the pear at the beginning of its growth cycle while it is very small, and allowing it mature inside the bottle. It is typically high in alcohol at 40% or 80 proof. Here is a video of how the pear grows in the bottle.